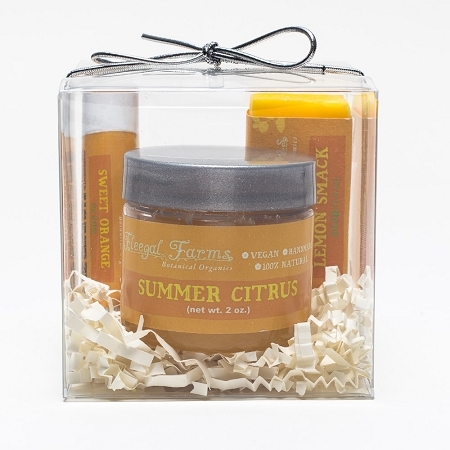 This adorable set gives the gift of sampling my 2 oz Summer Citrus sugar scrub, mini Lemon Smack Soap, and Sweet Orange Lip Balm. All my products are made by my hands with pure essential oils, rainwater and natural and organic botanical ingredients. 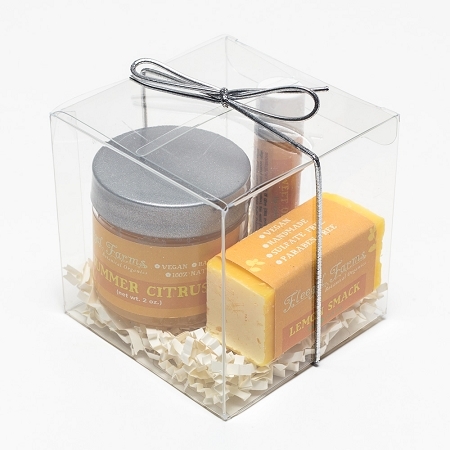 Citrus is uplifting to the mind and slightly astringent to the skin. This cheerful combo smells light sunshine. 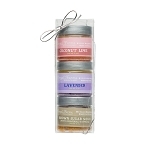 3 Bar Mini Soap Gift Set: Pick Three!